Sixteen people were injured when a coach traveling from the Polish city of Lublin to Vilnius ran off the road in southern Lithuania on Thursday evening. The accident took place near the village of Miloslavas in the district of Alytus. 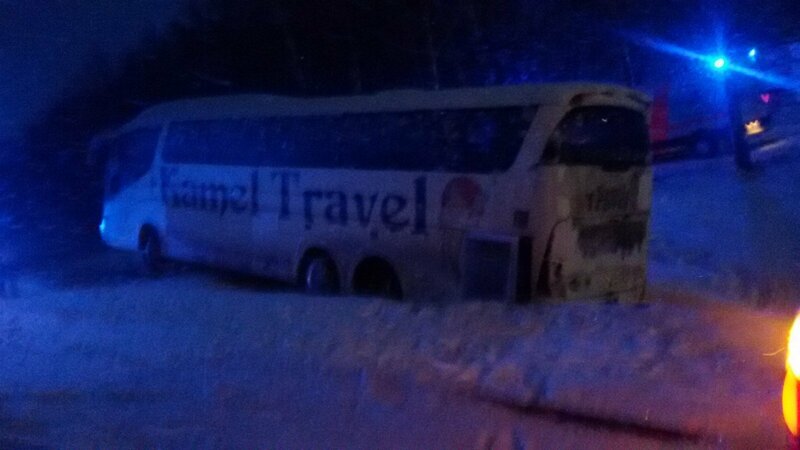 According to preliminary information, the driver, who was sober, lost control of the coach on a roundabout. The vehicle drove off the road, hit a tree and got hung up over a ditch. 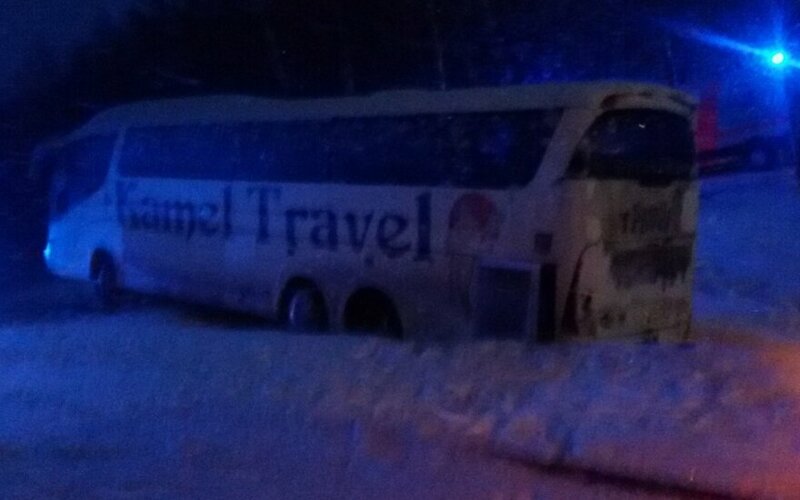 The coach did not overturn in the accident, the Alytus police said later. A total of 46 people were on the coach headed for the Lithuanian capital, which is hosting St. Casimir's Fair this weekend. According to preliminary information, five minors were among the 16 injured people, but none of them sustained serious injuries. One of the passengers was hospitalized in Alytus for a vertebral fracture. The cause of the accident has not yet been determined, but bad weather, poor visibility and slippery conditions have been given as possible reasons. The Lithuanian parliament is considering a law that would punish passengers of intoxicated drivers.